Welcome to Vickeys Bookkeeping Services! See 5 Benefits of Outsourcing your Bookkeeping below! Vickey’s Bookkeeping has been a huge asset to our growing organization. Vickey and her team provide competent and comprehensive accounting and bookkeeping support so that we can stay focused on carrying out our mission. They respond promptly to any questions or special requests that we have. They provide great value at a fair price. I highly recommend Vickey and her team to any organization seeking bookkeeping done well. 5 Benefits of Outsourcing your Bookkeeping! 2. Peace of mind: Outsourcing to a skilled and knowledgeable bookkeeping service such as Vickeys Bookkeeping Services is placing your books in the hands of an individual that knows fund accounting and best practices. 3. Accuracy: Know that your books are set up right and transactions are being entered and classified correctly. 4. Internal controls: It is unwise to have just one individual writing the checks, keeping the books, and reconciling. See more on internal controls. 5. Gain Time: Outsourcing your bookkeeping will free up more of your valuable time, so you can do what you do best ... grow your ministry or nonprofit! We are a small Episcopal church that until recently, did all its bookkeeping the old fashioned way - on paper ledgers! Then we moved to an accounting system that was too complicated for most people to use. Needless to say, we rarely had any timely, usable information for Vestry (our leadership) to make necessary financial decisions. This changed last year when we hired Vickey Boatright Richardson who provided an affordable, easy and timely system using Quickbooks Online that works perfectly for our needs. She helped us streamline our financial reporting, while keeping the information that we need to make good financial decisions. She also offers money-saving tips, including how to get discounted versions of software. She is very easy to work with and is quick to help solve any issues we may have. We are very happy that we signed on with Vickey Boatright Richardson. Vickeys Bookkeeping Inc specializes in bookkeeping services for churches and small nonprofits. DIY Training: This Do-it-yourselfer package is a great option for those who want to handle the books themselves, while still getting a good deal with some guidance. It includes 3 weekly training sessions and unlimited access to all resources you will need for training on a password protected Client Access page. The training resources include my digital ebooks, spreadsheets, my hardback book: How To Guide for Small and Growing Churches, and tons of online training for either Aplos or QBO. Monthly Bookkeeping and Payroll: We realize one size does not fit all, so we offer 4 different levels of monthly bookkeeping and payroll services! Your fixed monthly fee will be dependent on the amount of monthly transactions and size of your church or nonprofit organization, so even the smallest org can reap the benefits of having a professional bookkeeper on staff! See more information on Vickey's Bookkeeping Packages! "Vickey and her team are awesome. She is very knowledgeable, easy to work with and provides great bookkeeping/accounting support. She always responds to any questions promptly and makes time if you ever need to call. I truly enjoy my conversations with her, which says a lot when you are talking about accounting! 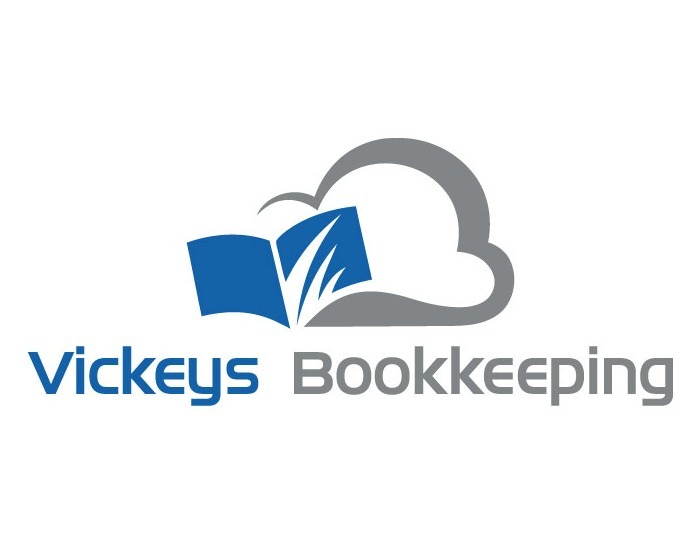 We highly recommend Vickey's Bookkeeping!" Thank you so much for your willingness to engage in getting our accounts set up and cleaned up. I have been feeling so overwhelmed. You truly have been an answer to prayer! I pray that our Father blesses you ten-fold for all that you've done for us. May your business be a huge success in helping others and encouraging them to get thier financial foundation built and functioning well for His glory. It is a joy to work with Vickey and I am so thankful to have someone leading the way that I am confident in and trust.